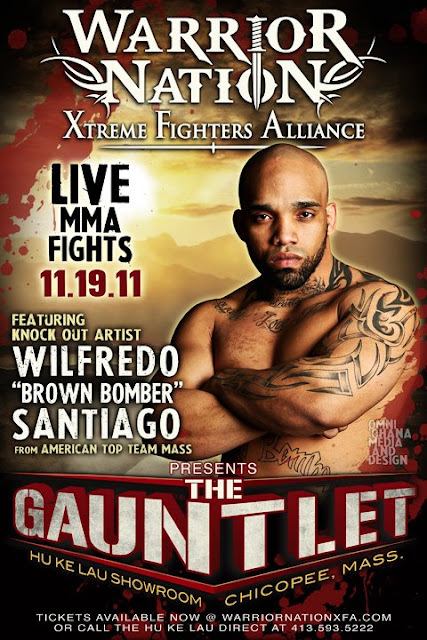 Wilfredo "Brown Bomber" Santiago is coming off a very impressive 45 second KO of the previously undefeated Francisco Ferreira. He is now set to meet currently undefeated Harley Beekman as the headliner for the XFA Warrior Nation event on November 19th. Beekman and Santiago will both be bringing 3 stoppage victories and knock out power into the middleweight bout.